Practice and preparation obviously go a long way in any sport, but there are a few variables that simply can’t be coached. The will to win is primary among them. And, unfortunately, it’s what the Lady Bulldog soccer team was lacking Tuesday in Roswell. 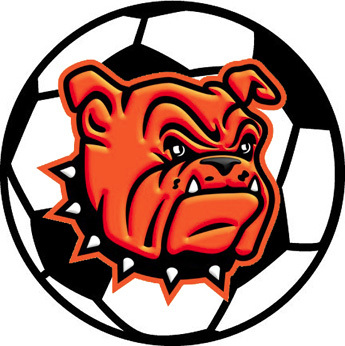 After battling the Lady Rockets of Goddard to a 2-2, double-overtime tie Oct. 4 at the Mack Chase Athletic Complex, the Artesia girls went on to post decisive wins over Portales (3-0) and Lovington (5-0). That put them in position to potentially lock up a District 4-AAAA title Tuesday with a decisive victory over the Rockets. But a few instances of uninspired play by Artesia allowed the Lady Rockets to take an early lead, and from there, it was an uphill fight the Lady Bulldogs were unable to scale as they fell 3-1 to move to 9-6-1 on the season, 2-1-1 in D4 play. “We had a couple of good opportunities in the first five minutes, but then their first goal went in within the first 10,” head coach Tim Trentham said today. “And that first goal was just baffling. That gave Goddard a quick 2-0 lead that would hold through the break despite improved play by Artesia. The Lady Rockets’ final score of the evening was another the Lady ‘Dogs had a chance to prevent, and by the time Artesia was able to get on the board on a breakaway by sophomore Sadi Butler, just 20 minutes remained in the contest – not enough to undo the damage. “We didn’t want it bad enough, in my opinion,” Trentham said. “Goddard was everywhere, and we were just watching them get to every ball. It was probably one of the worst games we’ve played all season as far as team play – and it was the worst moment for it, too. Trentham said the Lady Bulldog defense played well overall on the evening in the face of an onslaught by Goddard. While the loss essentially puts the Lady ‘Dogs out of the running for a district title – Goddard would have to tie or lose two of their three remaining matches – they are still firmly in the picture for the Class 4A State Tournament. And their position would be further enhanced by solid wins in their final bouts Saturday against Portales on the road and Oct. 25 versus Lovington at The Mack. “We still have postseason aspirations,” Trentham said. “We talked about our goals in the middle of the season, sat down and gave everybody a chance to vocalize their goals. What a lot of them wanted was a district championship, to make it to the postseason, and to go deep in the postseason.